Iran's supreme leader Ayatollah Ali Khamenei insisted Friday that Iran is not trying to develop nuclear weapons. State-run TV quoted Ayatollah Khamenei as saying the country does not believe in atomic weapons and is not seeking them. The remarks come one day after the U.N. atomic agency expressed concern that Tehran may be working to develop a nuclear payload for a missile. 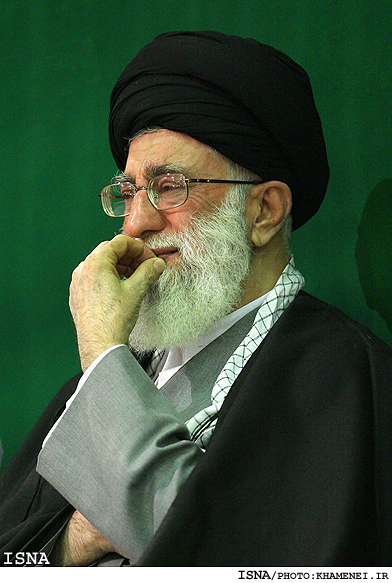 Ayatollah Khamenei called the claim "nonsensical." Russia and Germany warned Iran Friday that the government could face additional U.N. sanctions because of its controversial nuclear program. A spokesman for the French foreign ministry said the latest report by the International Atomic Energy Agency shows how urgent it is to "act with determination" on Iran's lack of cooperation on its nuclear activities. A Russian foreign ministry spokesman says officials could not completely rule out the possibility of sanctions although he says the U.N. Security Council is not currently working on a sanctions resolution. Russia is one of Iran's key allies. A spokesman for German Chancellor Angela Merkel says Iran's continued "defiance" may force the international community to pursue further sanctions. A White House spokesman said Iran had again failed to live up to its international obligations, and that "there would be consequences." Germany, Russia, France and the United States are part of six-party talks with Iran concerning its nuclear program.